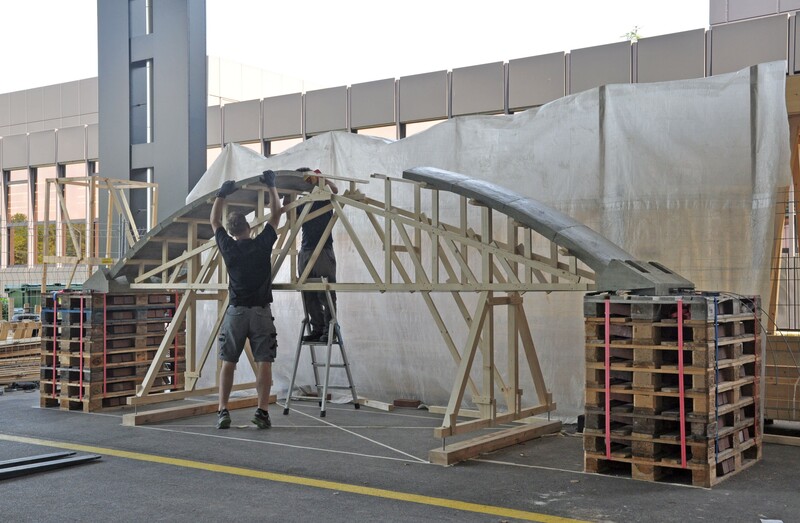 The recent prototype, a thin funicular arch of 5.2 meters span composed of twelve stackable components, was assembled in only five hours using timber scaffolding. 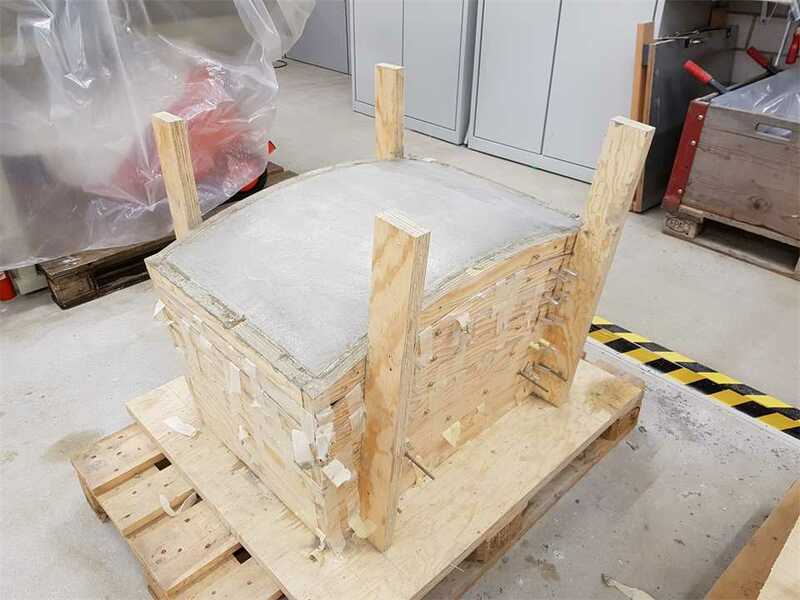 The CASTonCAST system examines structural concerns in the fabrication system for the design of concrete shell structures built with precast stackable components. 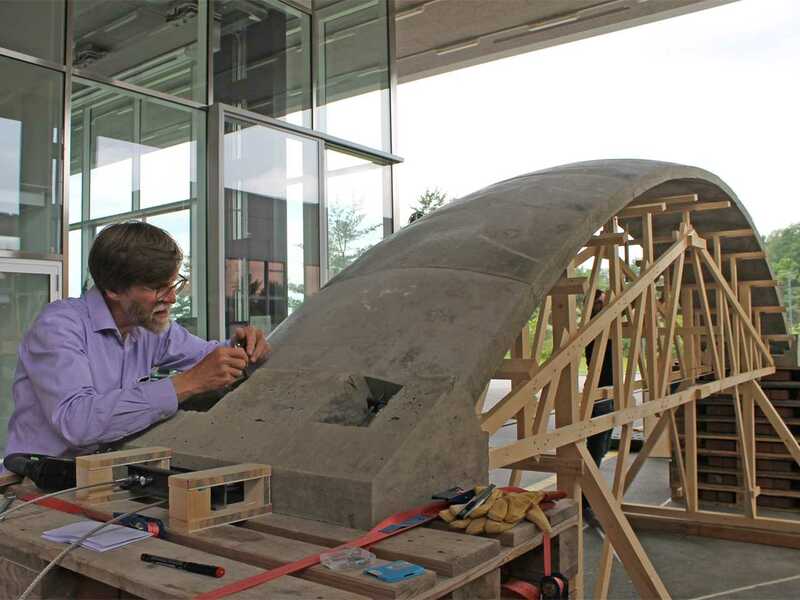 “It proves that complex curved shapes in concrete can be built inexpensively,” says Lluis Enrique Monzo. 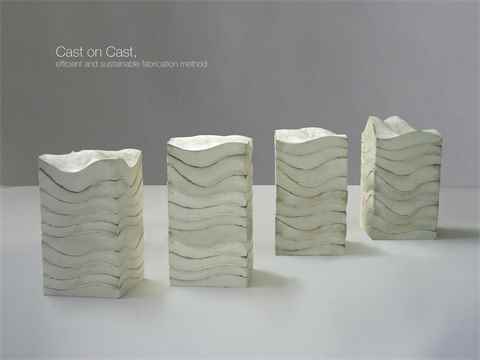 CAST on CAST was initially developed by students of the AA School of Architecture in London including Lluis Enrique Monzo and awarded one of three Global LafargeHolcim Innovation prizes in 2012. The elements are resource efficient by considerably reducing materials consumption and construction waste. Cast on Cast methodology uses a parameterization system in which mathematical algorithms subdivide three dimensional elements into smaller components that can be stacked in towers. The previous element is used to mold the shape of the subsequent element. 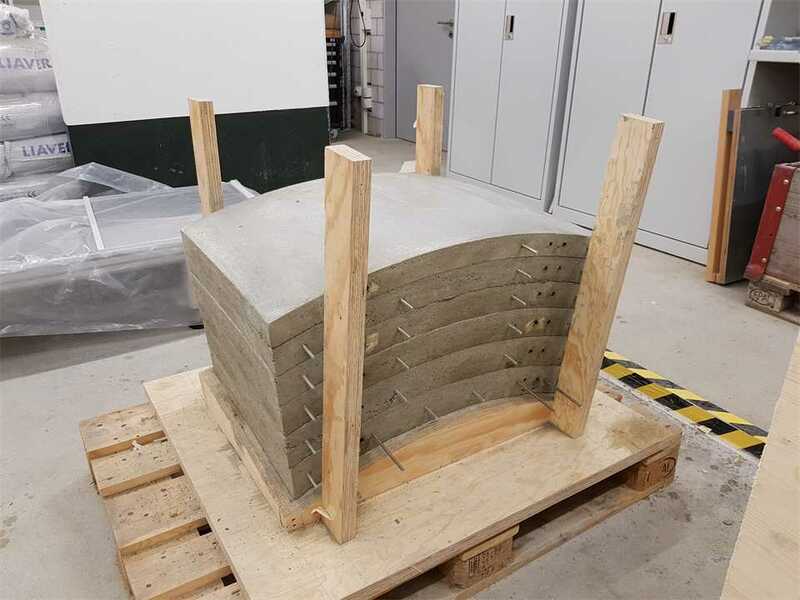 The CASTonCAST system examines structural concerns in the fabrication system for the design of concrete shell structures built with precast stackable components. The multidisciplinary research seeks to develop a smart but simple methodology to design and prefabricate building elements with complex geometries. The elements are resource efficient by considerably reducing materials consumption and construction waste. 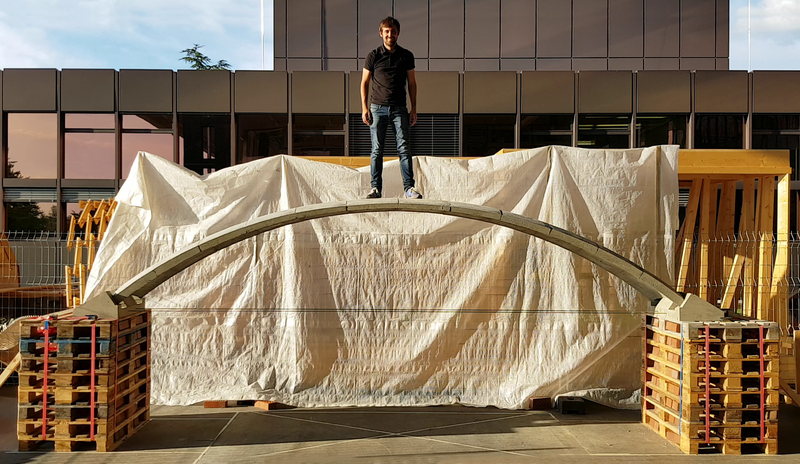 The recent prototype, a thin funicular arch of 5.2 meters span composed of twelve stackable components, was assembled in only five hours using timber scaffolding. In real construction, this scaffolding would be substituted by modular and reusable steel scaffolding, which is economic and quick to assemble. 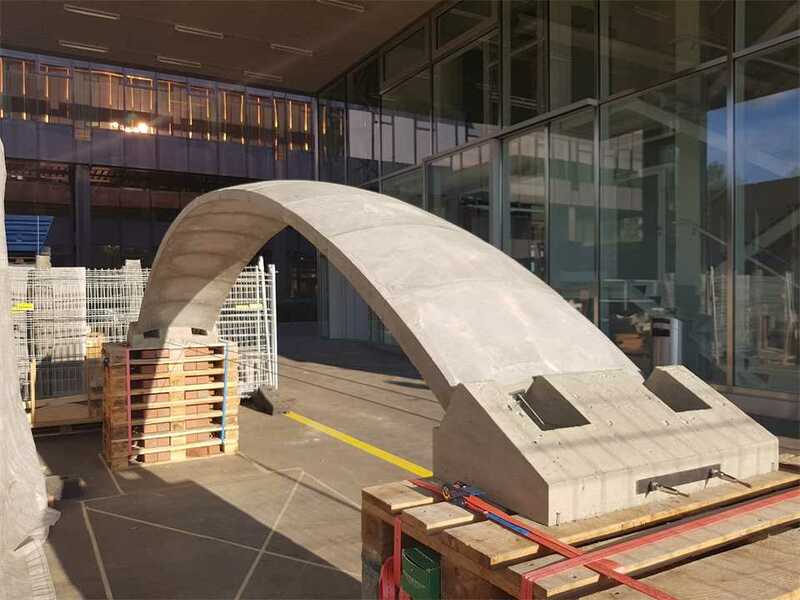 “It proves that complex curved shapes in concrete can be built inexpensively,” says Lluis Enrique Monzo. 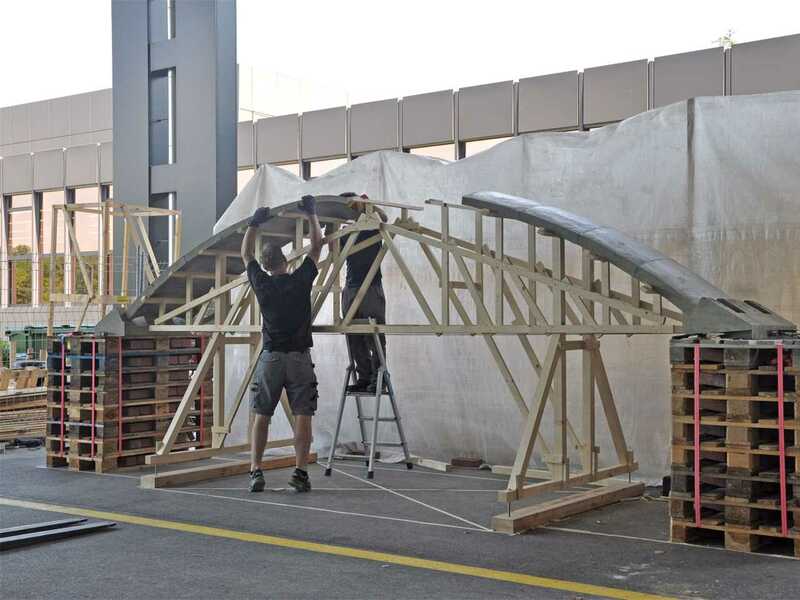 The next step, planned for spring 2019, is the building of an entire full-scale shell structure at ETH Zurich. 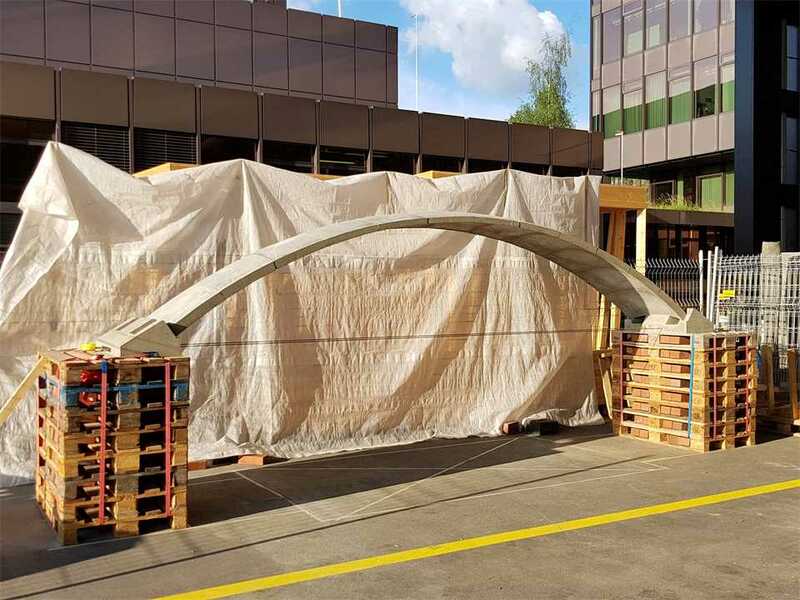 Holcim Switzerland donated the building materials for the prototype and will continue to do so, says Peter Wellauer, responsible for partnerships at Holcim Switzerland. He calls the ongoing sponsorship an opportunity to support the next generation of construction specialists: “The pioneering project of the young architect Lluis Enrique Monzo fascinated Holcim Switzerland from the very beginning,” explains Wellauer.